To listen to the Mariners talk, in fact, Safeco is just in its infancy. Though the ballpark's very existence, after the long, protracted political battle to get it built, is credited with keeping the franchise in Seattle, they perceive their new home will have more staying power than three Jamie Moyers. By its 10th birthday, the Kingdome had already been declared an eyesore, deemed obsolete, and scorned as a financial albatross for one of its two prime tenants, the Mariners. 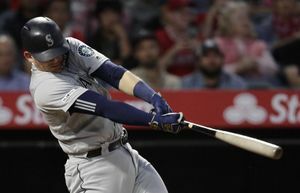 By contrast, as Safeco Field nears its 10th birthday — which arrives on Wednesday with the Mariners in the midst of their All-Star break — it still has the full bloom of youth. To listen to the Mariners talk, in fact, Safeco is just in its infancy. Though the ballpark’s very existence, after the long, protracted political battle to get it built, is credited with keeping the franchise in Seattle, they perceive their new home will have more staying power than three Jamie Moyers. That’s a realistic goal, says Joan Enticknap, president of HomeStreet Bank and one of the driving forces behind Safeco as the original Public Facilities District chair. She remains a PFD board member — and a Mariners season-ticket holder. Waldman’s involvement in the Mariners’ ballpark pursuit goes back to 1993, when he tried, unsuccessfully, to brainstorm ways to make the Kingdome feasible via lease concessions and facility improvement. 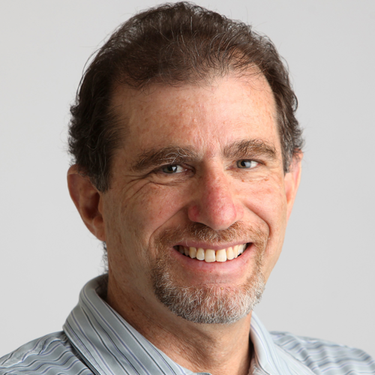 “We couldn’t figure out anything that made economic sense for baseball,” said Waldman. It was at that point then-governor Gary Locke convened a task force that concluded the Mariners’ long-term survival depended on building a new ballpark. To get from that theoretical declaration to the sparkling $517 million facility with the newfangled retractable roof, an edifice that has been attended by more than 30 million baseball fans (and 54,097 wrestling fans for WrestleMania XIX) was hardly a day at the park. In fact, as the headaches mounted, in the form of intense political opposition, numerous lawsuits trying to stop the project dead in its tracks, and the highly controversial $100 million cost overruns that everyone wanted someone else to pay, it was easy to despair that the stadium would never get built. And now, 10 years down the road, it’s the perfect time for some reflection on the evolution, and revolution, of Safeco Field. First of all, by all accounts, it has succeeded in its primary function, which was to save the Mariners for Seattle. They have gone from one of the most financially unstable teams in the majors to one that annually ranks in the top 10 in payroll, and now has the second-longest continuous ownership group in the American League. The Mariners’ ownership contributed $45 million initially to the project and then coughed up, reluctantly, about $98 million more to cover the cost overruns. The bonds used to design and build Safeco Field are on pace to be retired early — seven years ahead of schedule for the $26 million used to build the parking garage (they are expected to be paid off this year), and four years early (in 2012) for the $310 million in ballpark bonds. And Armstrong notes that once the Mariners’ ownership group recoups its operating losses, a profit-sharing system goes into place in which 10 percent of subsequent earnings will go back to the public via the PFD. On an aesthetic level, there are still critics who bemoan the fact it wasn’t built in the North Lot of the Kingdome, or who maintain that the retractable roof was unnecessary. Yet the ambience, atmosphere, architecture, sightlines and sensibilities — the whole ballpark experience — is widely considered to be one of the best in baseball in survey after survey. Certainly, it is revered by ballplayers (with the exception, perhaps, of right-handed power hitters). The Mariners were adamant from the beginning they needed a roof to ensure their large contingent of out-of-town fans that their trip would not be for naught. And the roof, designed with the concept of being an umbrella over the stadium — a carport rather than a garage was the common explanation — actually came in on budget at $67 million after being reduced from five to three sections. Other attributes of Safeco are the dazzling view from various locales, and the way the park fosters mobility — fans can watch from various vantage points in the ballpark and not miss action while in the concourses. Branch Rickey once said famously that luck is the residue of design. The Seattle-based architectural firm NBBJ was given the task of designing Safeco Field, though in the meeting to choose the architect, the Mariners cast the lone vote for HOK, the Kansas City powerhouse that had masterminded the highly praised Camden Yards. And to do it on an accelerated timetable that the Mariners deemed essential. The original goal was to have the ballpark ready for opening day in 1999, but that was reluctantly moved back to midseason. Still, of the five ballparks that were being built at the time — San Francisco, Houston, Milwaukee and Detroit, as well as Seattle — it was on the fastest track. So it was a wild race against time that accentuated the stress that was already swirling. More than 3,250 workers representing about 29 construction trades built Safeco in a joint venture of Huber, Hunt and Nichols and Kiewit Construction. Skilling Ward Magnusson Barkshire designed and engineered the roof. And they did so in a way that even some of its fiercest critics have grudgingly admitted is an artistic success. Chris Van Dyk, head of the watchdog group, “Citizens for More Important Things,” which filed a lawsuit claiming the ballpark bonds were illegal that went all the way to the state Supreme Court before being shot down, remains disdainful of the public expenditure. “We opposed it because we felt professional baseball had plenty of its own money to build its own bloody stadium, and the Kingdome was only 20 years old,” he said. “Neither factor has changed. Yet Van Dyk is a Mariners follower, and he acknowledged that he has recently taken in a game at Safeco Field. His evaluation? 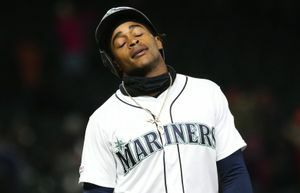 On that one point alone, perhaps, he and the Mariners are in sync. Armstrong has noted that several times a week, he’ll find himself admiring the place and reflecting on the arduous journey that got the team there. “I tell people I have four children, three of whom are human,” he said. A comparison of the Mariners’ starting lineup in the Safeco Field opener and in Saturday’s game against the Rangers. The only player who carries over is Ken Griffey Jr., who was gone for nine seasons before returning. SS Alex Rodriguez DH Ken Griffey Jr.